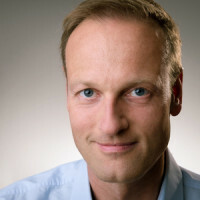 In 2014, Michael Schade and his long-term business partner Christian Lohr founded ROCKFISH Games, an independent gaming studio based in Hamburg, Germany, specializing in creating high-quality original PC and console games in Unreal Engine 4. Together with their former team behind the critically acclaimed Galaxy on Fire mobile games series on board, they had a wildly successful Kickstarter for EVERSPACE in 2015. Thanks to the winning formula of combining AAA-style visuals with roguelike elements and innovative storytelling, the fast-paced 3D space shooter became a surprise hit on Steam and Xbox in 2017. Thanks to digital distribution, social media and streaming platforms, the art of video games marketing has changed significantly over the last few years. New players keep entering the scene, which makes it even harder to pick the right marketing channels for small to mid-sized indie developers and even big publishers. In this hands-on talk, Michael Schade, CEO of ROCKFISH Games, will share his best marketing stunts on Youtube, Twitter, Facebook, Twitch, and imgur, which helped to make EVERSPACE, the studio’s debut title, an indie surprise hit on Steam and Xbox with over 400,000 copies sold and still selling strongly.